It was really the result of a little epiphany we had years ago. 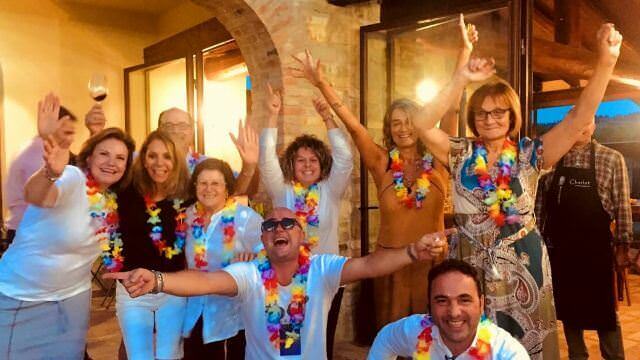 Many friends and family members would come visit us at our villa in Italy during our summers there, and each time we would be good hosts and show them a good time. They were friends and family, so we always wanted to share with them the best Italy had to offer. We introduced them to the best food, which often meant 'that amazing little hole in the wall' that doesn't even have a sign out front, but there is a grandmother in the kitchen who makes the most amazing fettuccine! We took them to the most interesting and unique places that the guide books accidentally passed over, while still showing them the famous sites they had always wanted to see. 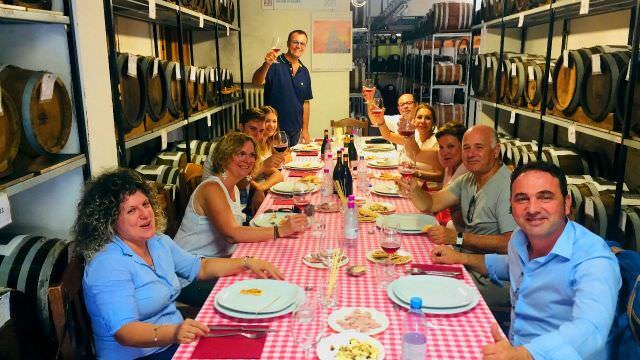 We introduced them to our friends in Italy, who often invited them into their own homes, allowing them to experience first hand the incredible warmth of the Italian culture. We went shopping together at the local markets, then got together with more local friends to cook family meals in our country kitchen. We integrated them into the culture for their brief stays, and had them spending their days as Italians, not tourists. As each of our guests would leave, it was always in tears. 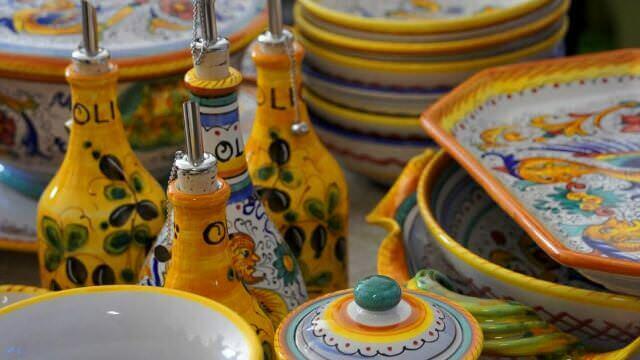 Those that had been to Italy before were always in awe over what they had missed in the past. Those that had never been to Italy never imagined it could be so incredible. All of them would leave having a sense of belonging, as though this had suddenly become their second home. Over the years, between these experiences and talking to other people that had been to Italy, it had become evident that there was something missing. People that had toured Italy always described it with a detached feeling. They saw this and the saw that. Those that we had met who had actually visited friends or family living there often had a story similar to that of our own guests. They would describe the incredible experience, and the sites they saw were practically an afterthought. It was always the vacation of their dreams. We asked ourselves what it would look like if we were to offer vacations to people we didn't know yet, but wanted them to have an experience similar to our friends and family. The simple answer was to treat them like friends and family. We're not talking about 'when you're here, your family' in the same sense as the slogan of that well-known Italian restaurant chain. We mean the real thing. You will never hear us use the words 'client' or 'customer'. You are our 'guest'. We are not your 'guides', we are your 'hosts'. These are not just words. They are an attitude. We want to get to know you before you come, and we want to share the things we love about the place we are hosting you in, not just show you things on an itinerary. We want to protect you from getting ripped off at tourist traps. We want to introduce you to our personal favorite places to eat, not the places set up for mass tourism. We want to show you some of our favorite little-known sites, and we want to really show you a good time. We keep it very casual, and very fun. In fact, you might be surprised to learn that one of our primary goals with every vacation is that it does not feel like work for our team. We believe that our hosts should feel like they are on vacation with you, as part of your group. They just happen to know quite a bit more about the area than you and the other guests do. Big groups are impersonal. So while you watch the buses running up and down the roads with 50+ people packed in like sardines, we keep our groups small and intimate. Big enough to ensure compatible personalities o bond with, but small enough that people never feel like cattle. Our vacations average 14-18 people. We'll admit that it is tempting for us to have 40 or 50 people in a group, since many of the base costs are the same whether we have 1 person or 50. That means that tour companies make a lot more money with the big groups. But we can't treat each other like friends and family if we can't even remember your name :-). So we keep it nice and small so that we can all keep it personal. It does cost us significantly more to do this, and that fact does reflect in our pricing, but the difference it makes is truly incredible. That said, we still offer custom vacations for larger groups, but when we do, we spend a great deal of time and energy getting to know the people in the group before the trip. Italians don't eat butter with their bread, and don't drink American coffee. Italians have pastry and cappuccino for breakfast, not bacon and eggs. They never have olive oil and vinegar dipping sauces for bread. Italians don't have dinner until 8:00PM, and they never take their coffee to go. The red wine is never chilled, and they rarely eat anything with their hands. Most tours and tourism establishments cater to our culture. It is easier for them to simply do it our way than it is to explain the differences. We believe this robs you of a big part of the experience. As they say, when in Rome, do as the Romans. When you travel with us, we will live the real culture as much as possible. 'La Dolce Vita' doesn't start with bacon and eggs, after all. You will experience the real life of the culture you are visiting, and it is absolutely wonderful! We try to be very clear about this, because while many people are looking for a fun cultural vacation, others are looking to be waited on hand and foot. So this serves as a feature for some, and a warning for others. Our people will not call guests 'Mr. and Mrs. Doe'. They will call them 'John and Jane'. They will be causal with you as though they have known you for years. They will joke around with you, laugh with you, and have a good time with you. Remember, our hosts are part of the group. Yes, they are technically guides and escorts, but they do it in the same way you would if you had visiting relatives from out of town. Remember that a primary goal is for us to feel like we are on vacation with you, so we discourage professional detachment for our hosts. The end result of this is an incredibly comfortable feeling for everyone, and we end up staying in contact with many of our guests long after they have left. In fact, we often find ourselves vacationing with our past guests later on... as friends traveling together. 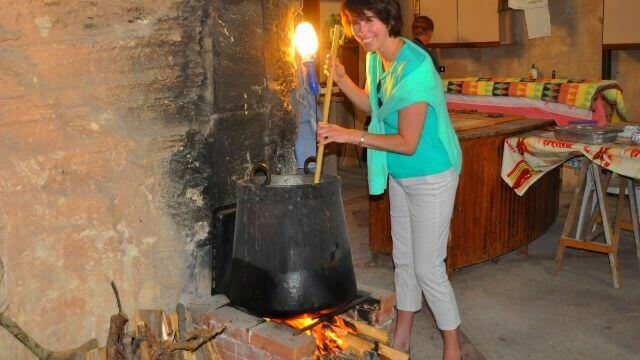 All of our vacations incorporate a mixture of cultural experiences, cooking classes, and excursions. It is important that our guests understand why we use the term 'excursion', rather than 'tour'. On traditional 'tours', when you go visit a site, you have a traditional 'tour guide' who leads the group based on planned schedule, during which the guide will talk about the history and interesting facts of the place while the group follows. We don't discount this at all, and understand that this is what some people are looking for. However, this is not how we do it. When we visit the same site, your host does not 'lead' you on a 'tour'. We do it the same way you normally would if you had friends visiting your hometown. We go together. Of course, you are going where the host takes you, but the host is part of the group. The host will certainly tell you about the places you are visiting, and show you what there is to see, but is done so in the course of friends on an outing together. It is not as educational as a traditional tour, but it is incredibly relaxed. In other words, while we are visiting a beautiful cathedral, a traditional tour guide might recite something like "As you can see, that on the upper north face, this painting by Signorelli, which was completed in 1498, depicts the battle between the followers and...". As you would not do that with visiting friends, neither do we. Instead, our host will be with you, and will talk about what you are seeing in more general terms, like "Much of the art in here was by Signorelli in the late 15th century". All of this is by design. Our goal with every excursion is to have a wonderful and relaxing time together. For us, it is about taking in the wonderful atmosphere of the place.. stopping and smelling the roses. It is not about the details of which year a church was built, or who was king when a painting was created. 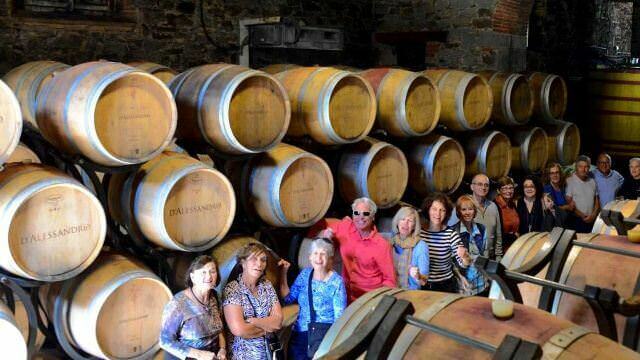 as we drink their amazing Brunello wines and stroll around their cellar and vineyards. While the other tours are eating at restaurants that survive only on tourism because the food is considered inedible by local standards, we are eating at that little trattoria down the street that the locals frequent because they make the best lasagna in town. Again, we do it the way we would with friends and family, not the way the big tourism machine does. Who Belongs to your Family? If you have read this far, you may be wondering if you will fit in with this "family" of Culture Discovery guests. 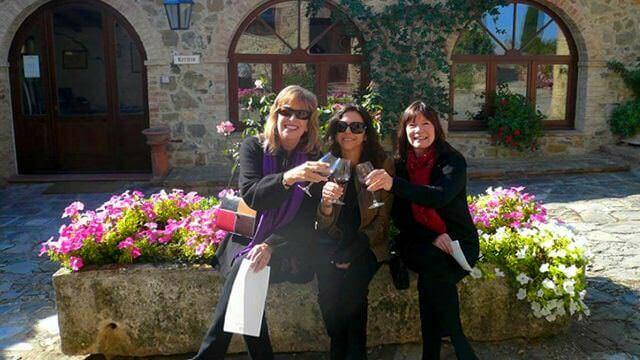 People who are attracted to our way of traveling enjoy good food, great wine and meeting new people. 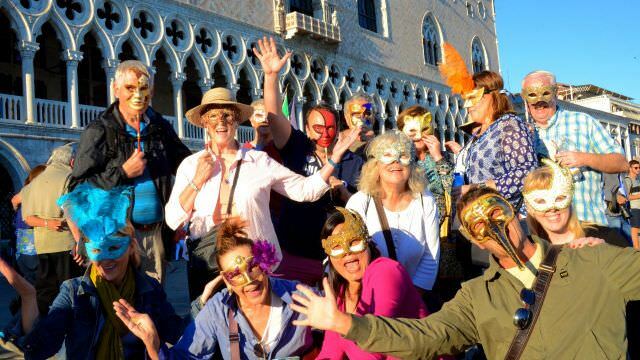 Our guests come from all over the world, primarily from the US, UK, Canada, Australia, and of course.. Italians. But it's not uncommon to meet people from other places in Europe. They range in age from twenty-something to eighty plus, and the often become lifetime friends and end up taking other vacations together! Consider this: What is your idea of a perfect vacation? Do you see yourself in a high-rise hotel with 24 hour room service? A week on the beach with a drink and a book? A resort with drinks at the pool? This is, quite simply, not us. 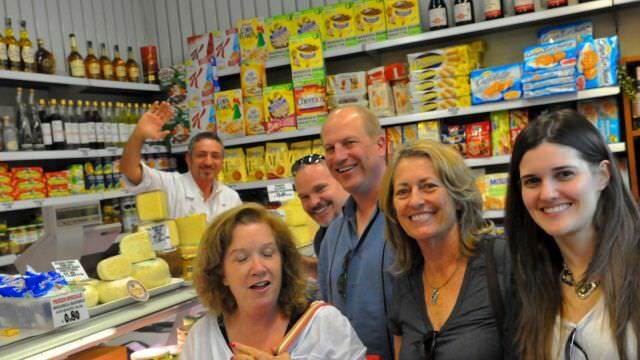 The people you will meet on a CDV tour enjoy boutique hotels with staff who know your name, visiting farms where we make cheese then take that cheese to a private villa to make cannoli. Have you ever harvested sea salt? Made your own sausage? Gone fishing overnight with a local fisherman? If that appeals to you, you'll fit right in!